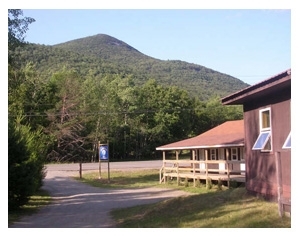 Summer, Spring, Winter or Fall - Blue Mountain Rest in Blue Mountain Lake is nestled in the Heart of the Adirondack State Park, and offers exciting year round outdoor activities for every adventurer. Be it boating, golfing, fishing, hunting, snowmobiling, skiing, water-skiing, tubing, jet-skiing, sun bathing, hiking, biking, ice fishing, white water rafting, canoeing, cross country skiing, shoe-shoeing, ice skating, horseback riding, and snow tubing - the Blue Mountain Lake area has it all. Blue Mountain is not only surrounded by the legendary beauty of the Adirondack Mountains but also numerous crystalline and pristine lakes - Indian, Lewey, Mason, Eagle, Durant, Long, Lake Pleasant and Raquette, name just a few. Liquid blue water, golden sun and pure white powdery snows are the ingredients that make this region every outdoors person's’ year-round haven. jet-skiing, tubing or sunbathing in the summer and snowmobiling in the winter. Ice fisherman or summer anglers will delight in the serenity of a meandering stream or the large expanse of the regions many lakes. Rather tee-off? Blue Mountain Lake has two golf courses on its outskirts. And hikers will be challenged by Blue Mountains' 3,700 feet vertical incline, right across the street from Blue Mountain Rest. White water rafters can enjoy a ride at Adirondack Rafting Company in nearby Indian Lake or canoers can paddle lazily on glass like water or sun shaded streams. Bikers can cruise on the long winding main Routes 28 & 30 and coast to colorful views lake to lake, and town to town. Mountain bikers can climb the rugged Blue Mountain and Tirrell Pond Trails from spring to fall. Canoe and boat launch on Blue Mountain Lake are just one minute or less than a .5 mile drive from Blue Mountain Rest. *April Special - 30% off Rates in April! Payment Policy: 50% down, 50% 1 week before check-in date unless you take our cash payment option where the balance will be due upon arrival in cash. Now accepting cash or personal checks upon arrival ( as of July 1st 2010), please review our CHECK PAYMENT POLICY below. All balances due and payments are 100% non-refundable 7 days prior to check-in date; 14 days prior in February, July & August. Cancellation Policy: 50% down payment returned only if dates are rebooked. All cancellations must be made in writing by mail or email. Please call first to advise. Property Protection - Credit card required and used as security in case of property damages. Credit Card Policy - All major credit cards accepted. All credit card reservations are processed in our central office at Villa Baglieri Inc. (which is our other rental property located in the Hudson Valley, NY). If you have any questions about billing please call 845.236.4071 or the central booking office 845.883.7395. There may be additional processing fees may apply in the event of a cancellation or re-booking.